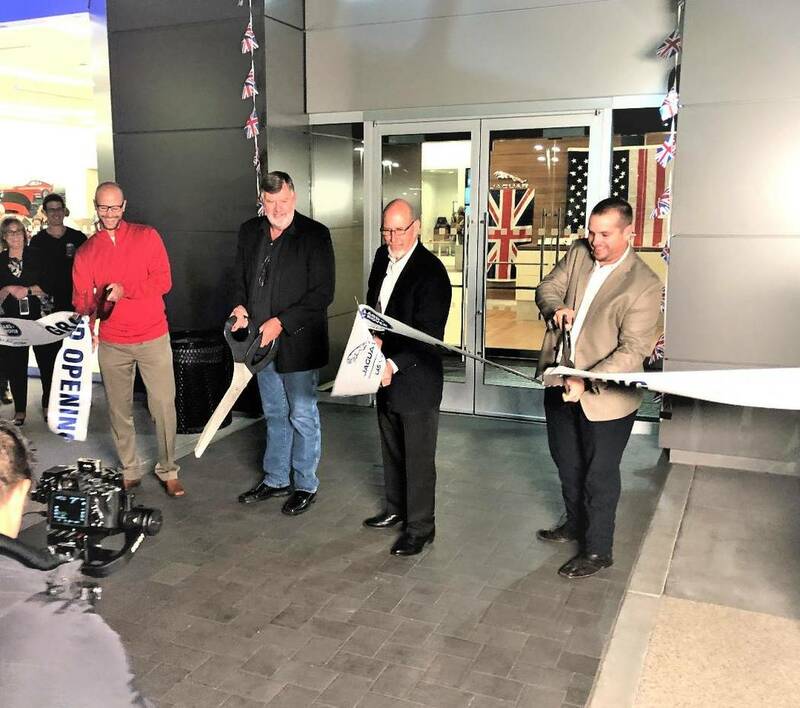 Findlay Automotive Group’s Jaguar Land Rover Las Vegas unveiled a state-of-the-art 47,000 square-foot building Nov. 15 at 6425 Roy Horn Way in southwest Las Vegas. The event took another step in an impressive journey that first started in 1999. With a large crowd and a celebration that included skydivers landing on the property, the grand opening also featured a band, food and a full house of customers who toured the impressive dealership. When the British-born Land Rover franchise became available in Southern Nevada, it didn’t take long for its executives to approach Findlay Automotive Group, which accepted the offer to team up. To say that the all-new Jaguar Land Rover Las Vegas is impressive is an understatement, and the brands represent models that are known all over the world. Ray DiNardi, dealership center manager, has been with Findlay Automotive Group since 1988, and he was very impressed with the grand opening and the new building. “Both of our dealerships are niche brands,” DiNardi said. “Jaguar is known for its performance and styling while Land Rover/Range Rover is known for its luxury as well as capability of off-road. The Land Rover dealership was selected as one of 14 Jaguar Land Rover dealerships nationwide to be selected as North America of Special Vehicle Operations. Long-time customers Dave Peterson and his wife, Neva, are big fans of the Land Rover product lines. In fact, the couple purchased its first Ranger Rover from Jaguar Land Rover two years ago, and Neva is now looking for a Velar from Jaguar Land Rover. The event served two purposes including the launch of the all-new all-electric plug-in Jaguar I-Pace SUV. Findlay CFO Tyler Corder saluted the new dealership while lauding the company’s growth in the southwest valley. Further information regarding the dealership can be found by calling 702-579-0400 or by visiting www.jlrlv.com.